Policy to focus on Transparency & Equity in release of Government ads. For the first time the policy introduces a New Marking System for newspapers to incentivize Newspapers who have better professional standing and get their circulation verified by ABC/ RNI. This will also ensure transparency and accountability in the release of advertisements by DAVP. The marking system is based on six objective criterions with different marks allotted to each criterion. The criterion includes Circulation certified by ABC/RNI (25 marks), EPF subscription for employees (20 marks), number of pages (20 marks), subscription to wire services of UNI/PTI/Hindustan Samachar (15 marks), own printing press (10 marks), annual subscription payment to PCI (10 marks). Advertisements shall be released by DAVP to Newspapers based on marks obtained by each newspaper. The policy framework includes circulation verification Procedure for empanelment of Newspapers/Journals with DAVP. The procedure involves certification by RNI/ABC if circulation exceeds 45,000 copies per publishing day; for circulation upto 45,000 copies per publishing day certificate from Cost/Chartered Accountant/ Statutory Auditor Certificate/ ABC is mandated. The policy states that RNI circulation certificate shall be valid for a period of two years from the date of issue and in case of ABC, the current certificate shall be used for circulation certificate. It is stated in the policy that DG DAVP reserves the right to have figures of circulation checked through RNI or its representative. The policy also stipulates the empanelment procedure for Multi-Editions of a newspaper. It states that, as per the PRB Act whenever copies of one edition of a newspaper are printed from more than one centre and if the content of newspaper is different they would be treated as different editions. Each edition of a newspaper is required to have a separate RNI registration number and RNI shall treat each edition as separate entity while verifying the circulation. However, the policy guidelines mention that, if a newspaper for sake of convenience is printing its copies of an edition in more than one printing press without adding any additional content, DAVP may take the circulations of such printing centres into consideration for giving rate of that edition. For payment and adjustment of bills, the policy framework mandates that DAVP will release payment of advertisement bills in the name of newspaper/company account directly through ECS or NEFT. Also, it is mentioned that newspaper will publish DAVP advertisement only on receipt of the relevant Release Order by DAVP. All Release order issued can be accessed electronically at DAVP website. The policy stipulates that the rate structure for payment against advertisements released by DAVP will be as per recommendations of the Rate Structure Committee. The policy framework provides a premium for prominent placing of ads in newspapers and journals whose circulation is certified by ABC/RNI. DAVP would pay a premium of 50% above DAVP rates for colour/black & white for front page, 20% premium to third page, 10% premium to fifth page and 30% premium for back page to only those newspapers whose circulation is certified by ABC/RNI. The policy also incentivize big category newspapers which are willing to publish the advertisements of Educational Institutions at DAVP rates by giving additional business of 50% in volume terms as compared to those which are not willing to accept. The policy has classified Newspaper/Journals into three categories namely Small (<25,000 copies per publishing day), Medium (25,001-75,000 copies per publishing day) and Big (>75,000 copies per publishing day). The new policy in pursuance with the broad social objectives of the Government has structured the empanelment procedure to ensure fairness among various categories of Newspapers/Journals. The policy also mentions relaxation in empanelment procedure to provide special encouragement for Regional language/Dialects small and medium newspapers, Mass circulated newspapers (circulation >1 lakh), newspapers in North Eastern states, Jammu & Kashmir and Andaman & Nicobar Islands. The policy emphasizes that DAVP shall make efforts to release more social messages and related advertisements which are not date specific to periodicals. 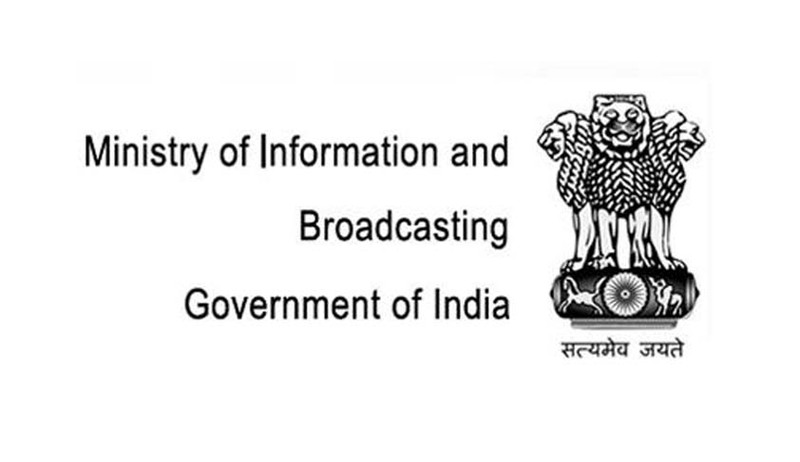 To promote equity based regional outreach, the policy emphasizes that the budget for all India release of advertisements shall be divided among states based on total circulation of newspapers in each State /Language. The policy mentions that PSUs and Autonomous bodies may issue the advertisements directly at DAVP rates to newspapers empanelled with DAVP. However, they all have to follow the criterions laid down by DAVP for release of all classified and display advertisements in different categories of newspapers viz. small, medium & big. The policy directs all clients of DAVP to issue Letter of Authority/Cheque/DD/NEFT/RTGS up to 80 % of the actual expenditure in the previous year within the first month of the new financial year and clear all the remaining payments before February 28th of the financial year. Alternatively, the client Ministries may provide 85% advance payments of the estimated expenditure of the advertisements. DAVP is the nodal agency of the Government of India for advertising on behalf of various Ministries/Departments/PSUs/Autonomous organizations which are funded by the Government.